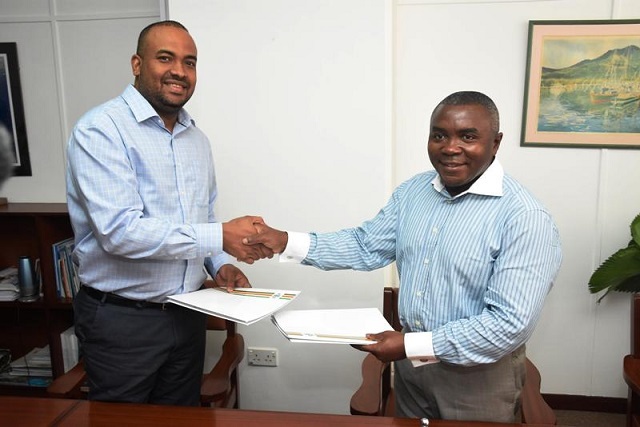 (Seychelles News Agency) - Sustainable management of forests and bioenergy assessment with capacity building in Seychelles are two new projects being supported by the Food and Agricultural Organisation of the United Nations (FAO). The first project will allow authorities to draft a new national forest policy and legislation that will also ensure better monitoring of the island nation’s forests. The second will assist the analysis and identification of potential bioenergy feedstock and technologies. The two projects - at a cost of $5 million - are expected to be completed in two years. The signing for the projects was held on Monday between the Seychelles’ Ministry of Energy, Environment and Climate Change (MEECC) and FAO. “The project will help us to make a better-informed decision on issues relating to forestry,” said the minister of MEECC, Wallace Cosgrow, at a press conference following the signing at his office in Victoria. “We currently have a project whereby we are doing an inventory to collect basic information that will allow us to determine priority locations that we will focus on in the new policy that we will be working on,” explained Muzungaile. 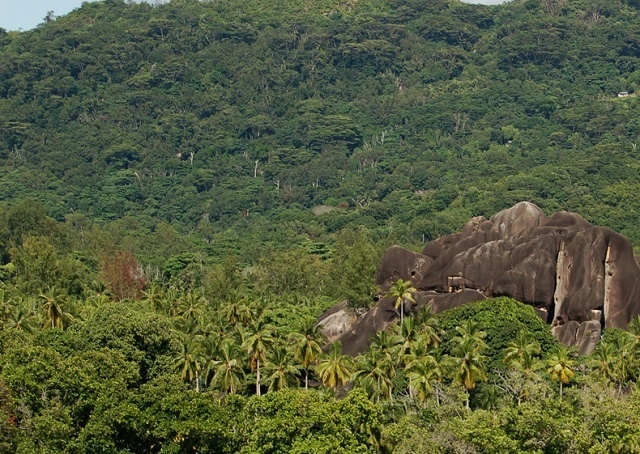 The FAO representative for Seychelles, Patrice Tala Takoukam, said that drafting the new policy will help the islands to meet international standards in terms of forest management. Referring to the bioenergy project, the principal policy analyst for energy at MEECC, Theodore Marguerite, said that there is a roadmap to make Seychelles 100 percent renewable-energy dependent and one component to achieving this was to tap into bioenergy. “With this project, we are going to use left-overs in agriculture to generate energy. We have conducted an inception workshop last week to start this process. The first thing that we are going to do is to identify the amount of biomass that we have and if it is enough to produce electricity,” said Marguerite. Tala Takoukam said that this is a good project that the FAO is supporting not only because it is helping the island nation to seek alternative sources for energy other than just burning fuel, but it is also helping to reduce the impact of climate change. Marguerite said that this project will further contribute to the objective of providing at least 15 percent of the island nation's energy needs from renewable sources by 2030. Aside from using biomass to produce energy the island nation has taken several measures to increase its renewable energy sources. One major project is to install Africa’s first utility-scale Floating Solar Photovoltaic (PV) system on the lagoon at Le Rocher, in the district of Les Mamelles.